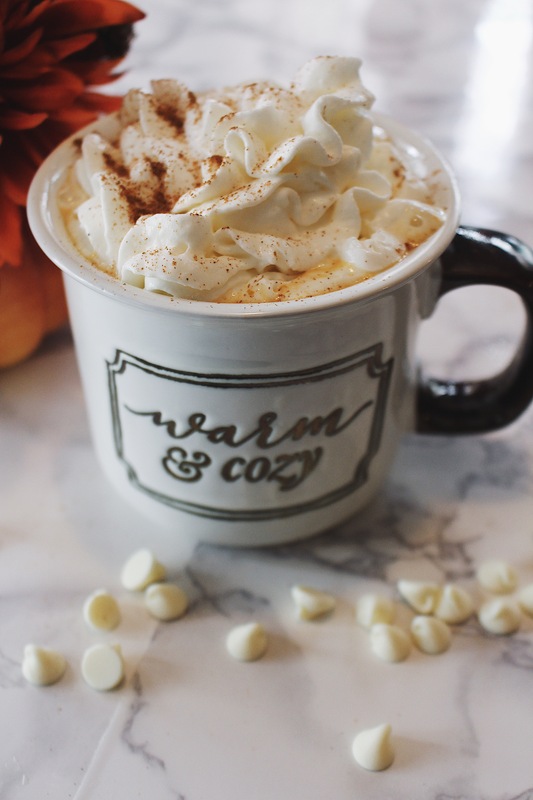 Hot chocolate season is finally approaching us and I’m so excited! I love hot chocolate. It’s rich in flavor, keeps you warm and it makes you all happy. 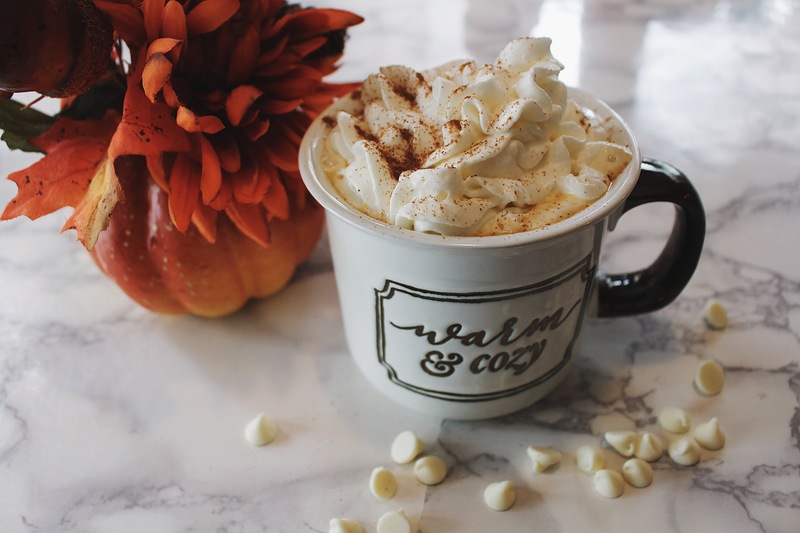 I’m not sure if regular hot chocolate or the Christmas flavors are ready to be consumed yet, but Pumpkin hot chocolate definitely is! 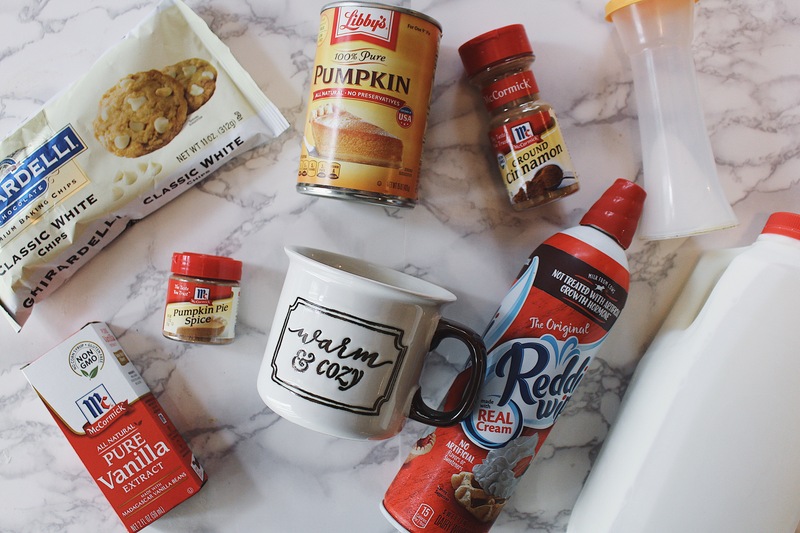 If you love pumpkin pie than you will love this Pumpkin White Hot Chocolate! Let’s get into the recipe! 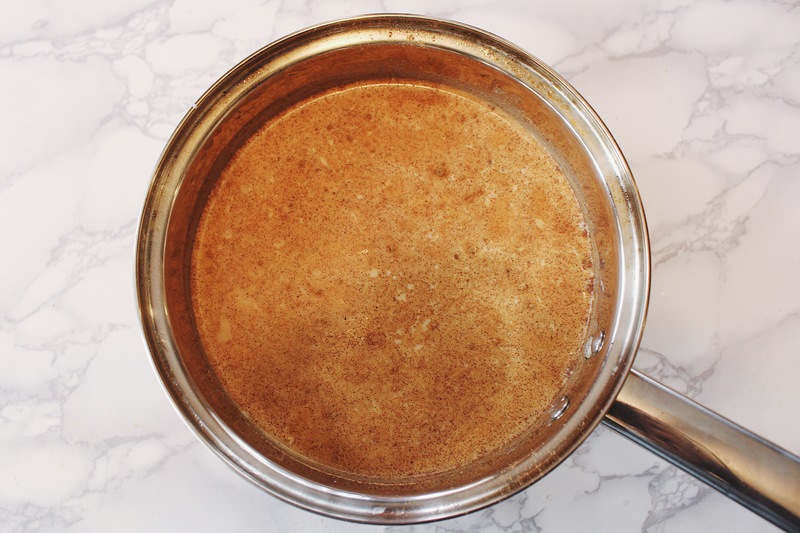 Combine the milk, pumpkin puree, pumpkin pie spice, salt and vanilla in your saucepan, heating it until the mixture begins to simmer, whisking constantly. Remove from heat. 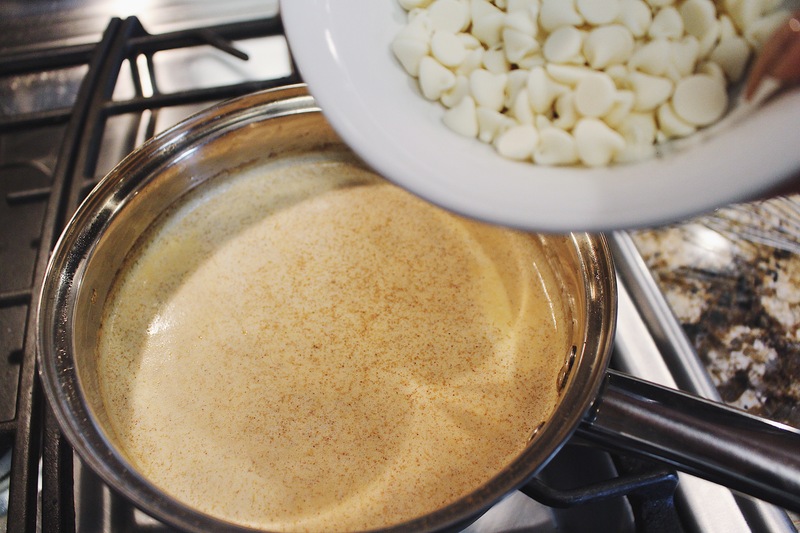 Add in the white chocolate and stir until it is completely melted and incorporated. 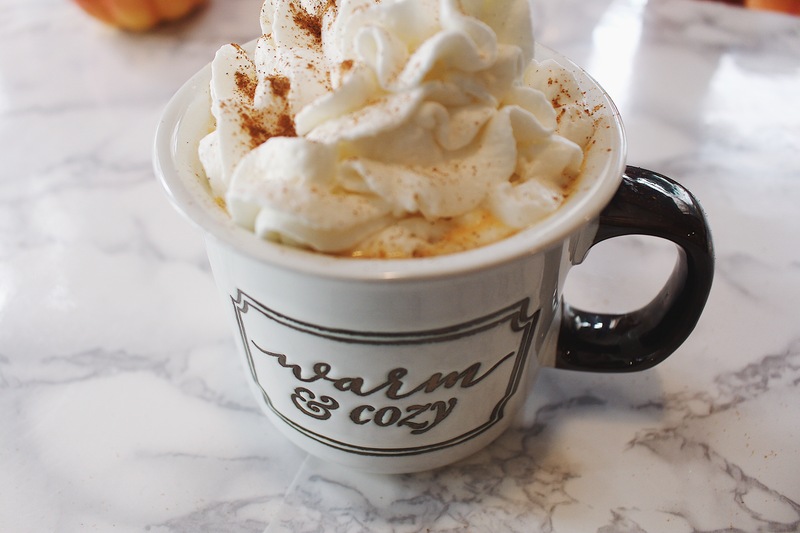 Pour into your cute mug. 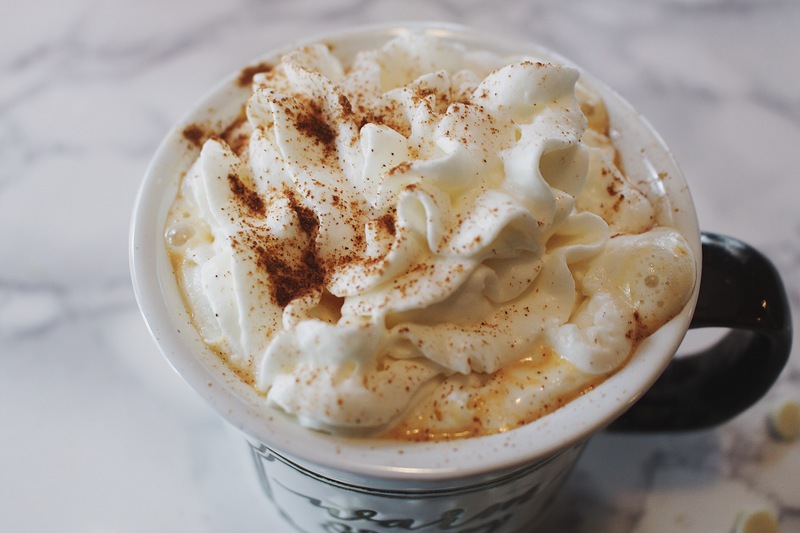 Add your whipped cream and cinnamon as toppings. 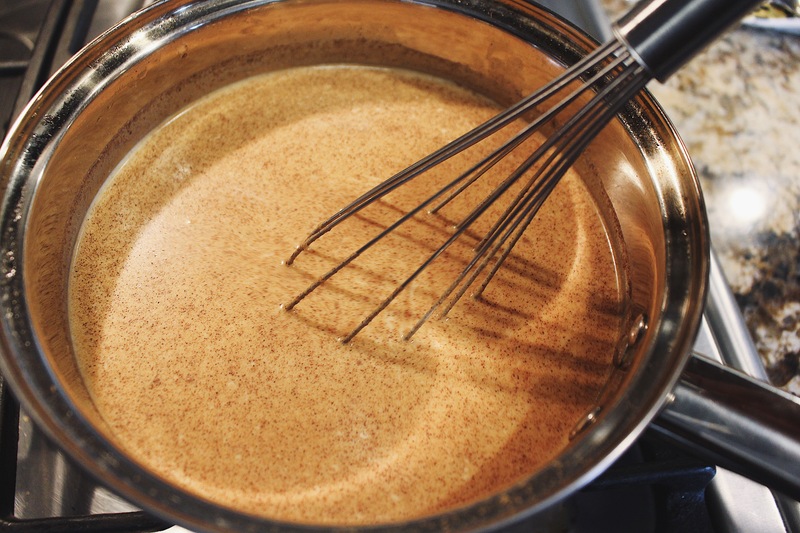 I hope you enjoyed this recipe post! 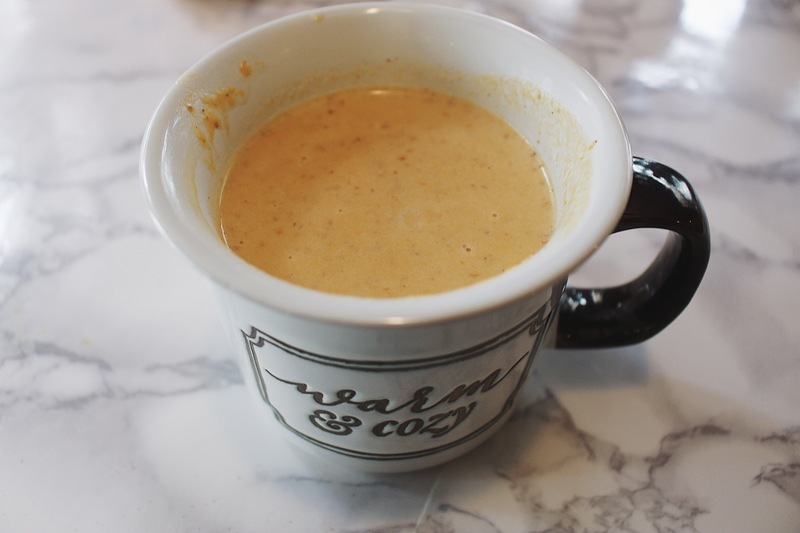 If you love pumpkin pie you will absolutely love this drink! Feel free to add some alcohol for those Fall holiday parties! You have THE cutest theme and layout. Love!